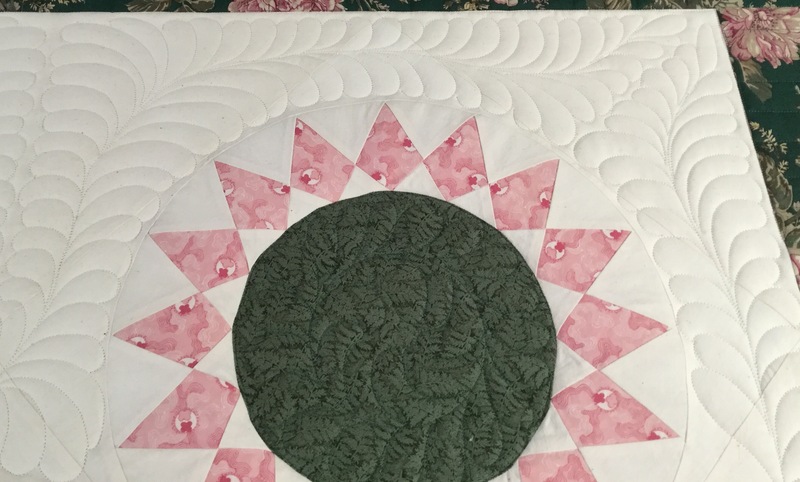 I finally started quilting my Morning Star UFO. 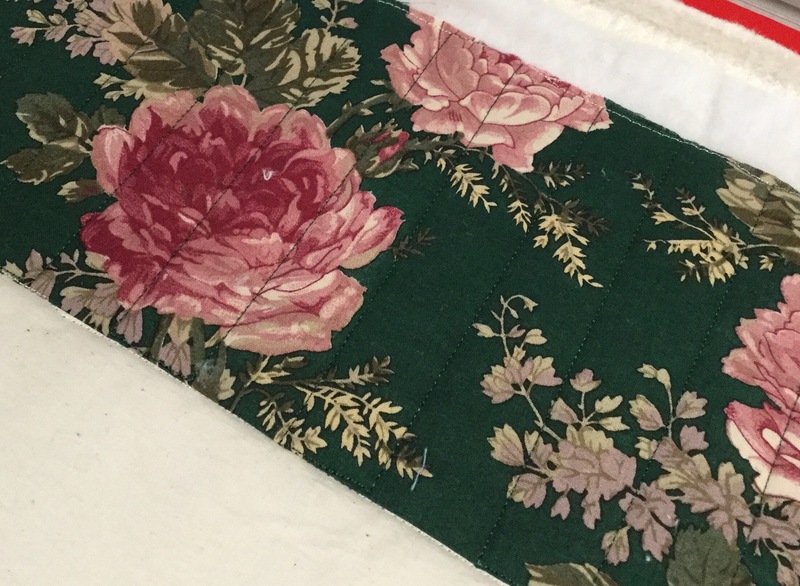 I used green thread for the piano key border. I’m having a hard time keeping this straight and even. Hopefully it won’t show much! 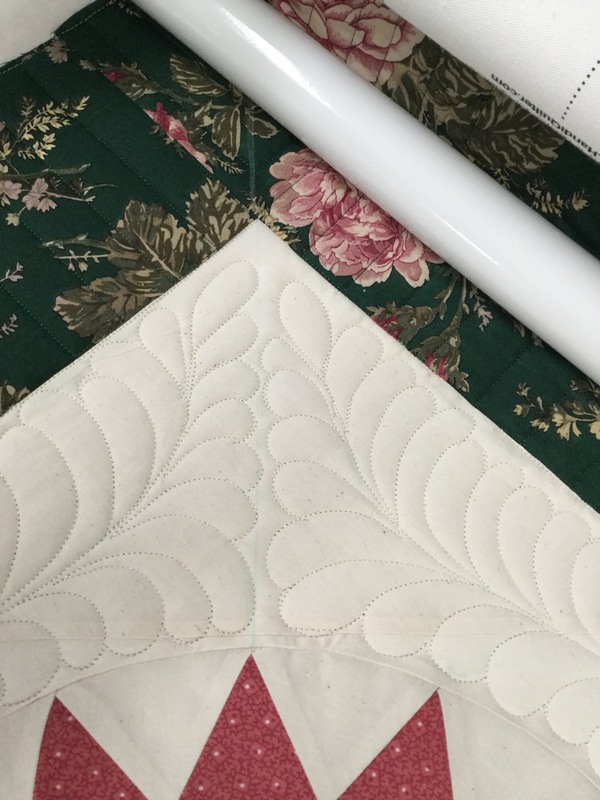 I am also using the green for the feathered wreathes in the block centers. As you may recall, these centers were too poofy due to some poor piecing on my part. To combat this, I decided to quilt this with two layers of batting. I have my last bit of Warm and Toasty 100% cotton on the bottom and a layer of low loft Pellon poly on the top. Not real happy with these either, but we will move along! 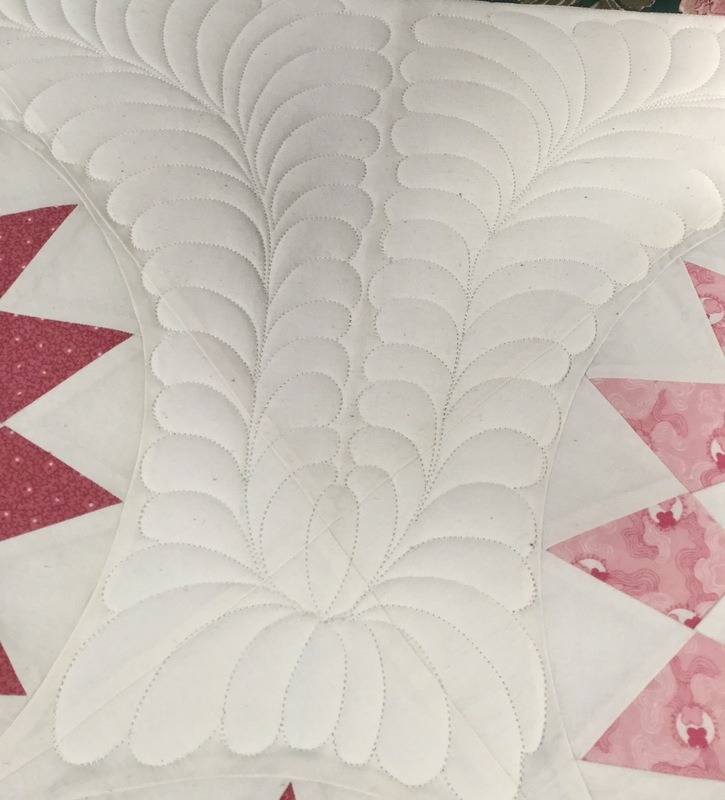 I am using cream Glide thread on the rest of the quilt. Here are the feathers in the background. They don’t match real well in the corners! 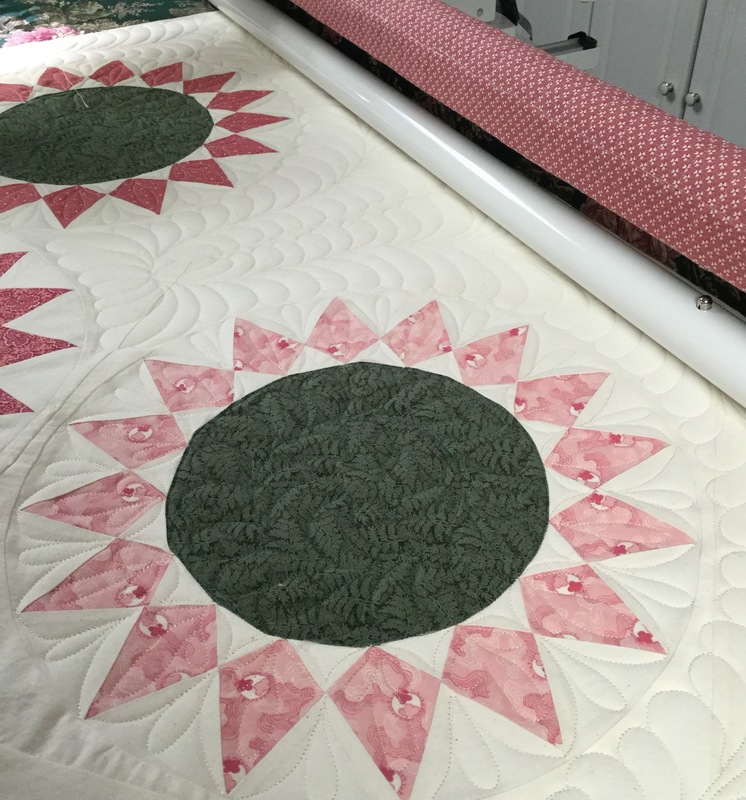 This is how I am quilting the star points. 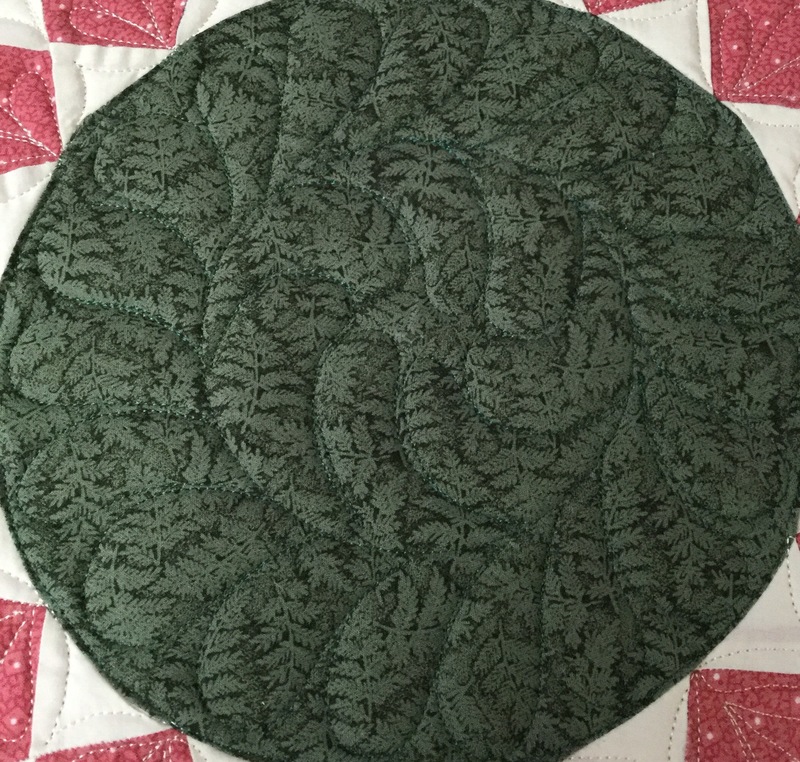 I think this quilting is my favorite bit so far. I have quite a way to go, but I still hope to finish this by the end of the year. 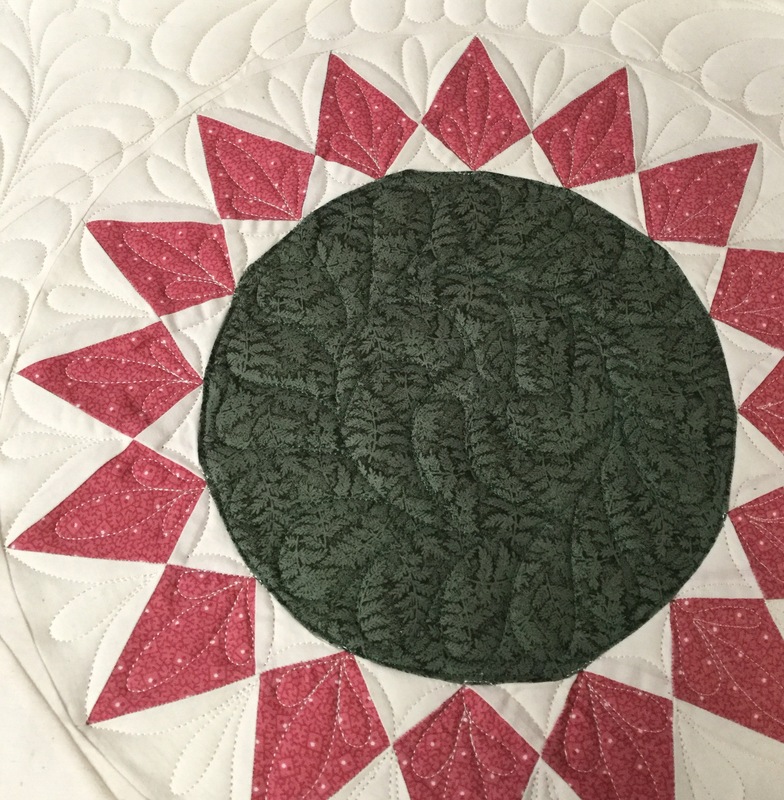 This entry was posted in Free Motion Quilting, Machine quilting, Uncategorized. Bookmark the permalink. Congratulations for this quilting ! It’s very pretty and your quilt will be gorgeous ! I think your feathers look great! Looks beautiful to me. I agree with Kathy D. You see things the rest of do not notice. Congratulations on finishing a UFO! I think this quilt is going to be stunning! You point out things that only you notice. The end result will be fantastic; can’t wait to see it!